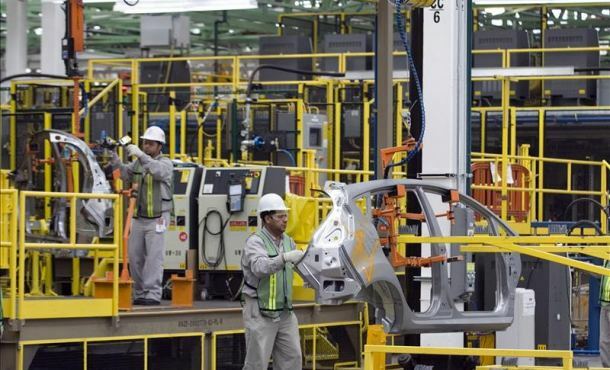 Mexico’s auto parts industry expects record sales this year, reaching $86 billion USD, as a depreciating peso has made exports in the local currency more competitive in the United States. Oscar Albin, president of the National Auto Parts Industry (INA), said on Wednesday that the record sales for 2016 would represent as much as 4 percent growth compared to last year. However, he said the rate of expansion could shrink in subsequent years due to cooler demand from buyers in the United States. “We are hitting the ceiling and while the United States has been buying cars, there’s a limit,” said Albin. “Going forward, we are looking to maintain these numbers and maybe one or two (percentage) points of growth,” he said. Mexico, the world’s fifth biggest auto parts producer, exports more than 70 percent of its output, mostly to the United States. The Mexican peso MXN=D2 MEX01 has weakened about 10 percent so far this year against the U.S. dollar, on top of a depreciation of nearly 17 percent in 2015. “But you have to look for other markets,” said Albin. “Brazil was a good market for us, but we’re only selling a third of what we used to sell to Brazil,” he said. In the medium-term, Albin said the local auto parts sector expects to reach sales of more than $100 billion by 2020, which would push Mexico into fourth place among the world’s top producers, on par with Germany.